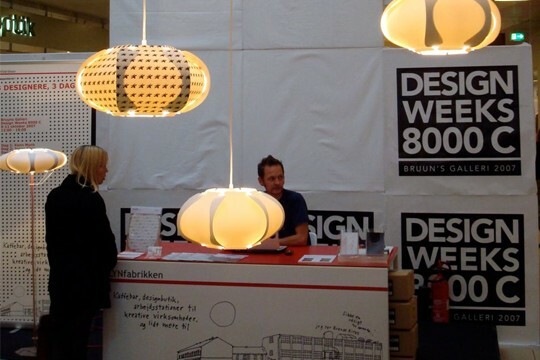 Bruuns Galleri – a shopping center in the middle of Aarhus wanted to enhance their focus on design and came up with a concept called “Design Week”. 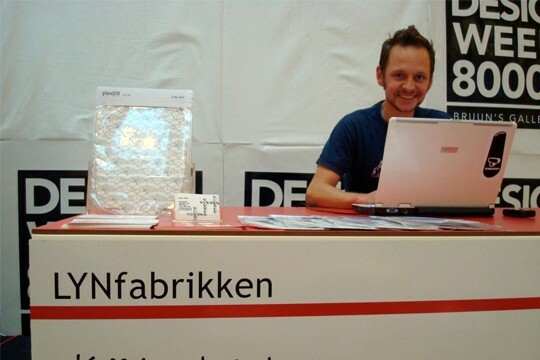 LYNfabrikken developed an exhibition design that incorporated not only a showcase for different products, but also the designers themselves and thereby an opportunity for the audience to talk to the designers and gain a rare insight into their process. The very talented product designers Kenn Munk and Jonas Klein exhibited their products and sat behind the desk in the exclusive design exhibition in the middle of Bruuns Galleri.